Nice material, texture and colour. No sewn in tag, I love it. The use of handkerchiefs as an accessory is a very old practice that dates back to the 800’s. Today, they are as popular as ever, with many dapper men religiously adding a pocket square to their suit-and-tie outfits. We have a large collection in a range of colours and patterns to suit any modern man's taste. You can find handkerchiefs of all materials, from cotton to wool to linen. But by far the most elegant material is silk, which gives you that extra touch of distinction. Even if you donât choose silk, your pocket square can still give you a complete 360Âº turn to your styling. 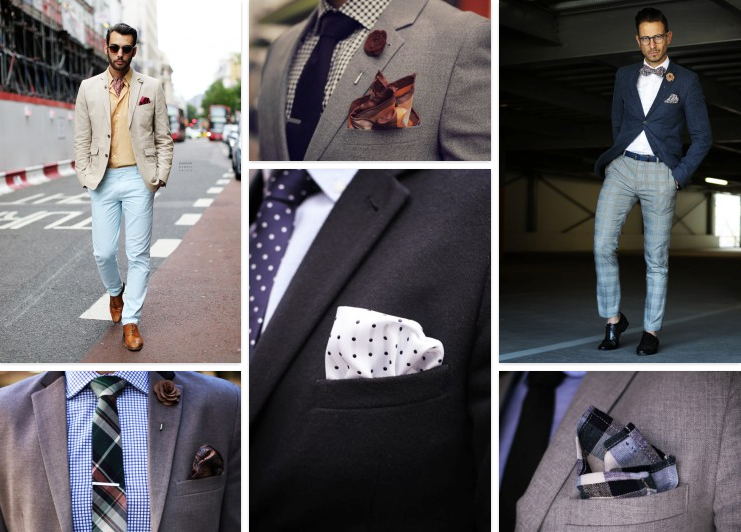 Do you want to know a trick to choosing the perfect pocket square for your outfit? Just choose your outfit first. Then decide which pocket square you want to use to compliment your outfit. Fashion trends come and go. Things that were in fashion a couple of years ago are now considered âtackyâ. Likewise, fashion trends from decades earlier are now again seen on the covers of fashion magazines. Handkerchiefs are no exception. Under the motto "put a handkerchief in your suit" we claim the right of this accessory to live where it deserves, in the suit pocket of every man. The best way to choose the right handkerchief for your outfit is to choose your outfit first, and then choose your handkerchief to match. Now that you have chosen the right handkerchief, the last remaining issue is how to fold it. The general rule is that your pocket square should go in the front pocket of your jacket, protruding about two or three centimetres. It can be carried straight or flat, just try to fold the handkerchief until you get the ideal size to put it in your pocket. 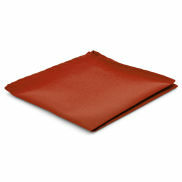 Another way to fold your handkerchief is to fold it into a triangle, and then fold it again to form a smaller triangle. Simple! You donât have to fold your handkerchief to look sophisticated. Another option is to look for the centre of the handkerchief and hold it to try to give it a flower shape. Then place it in your pocket while keeping that shape. Do not use your pocket square for anything other than decorating your jacket. Use a different handkerchief for nose blowing and mouth cleaning. Combine it with the colour of the shirt or tie, but subtly. For example, if the tie is green, let the green be a secondary colour on the handkerchief. Practice different ways of placing it in your pocket. There are many different and subtle ways to change your look. The first thing people notice about a manâs garment is his shirt collar, the knot of the tie, and the shoulders of his jacket. But one thing that people overlook is a pocket square - so get on it and add some style to your outfit today.